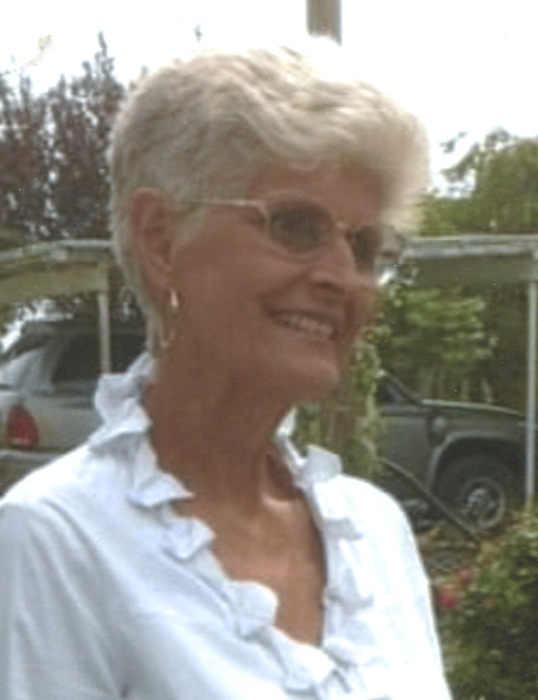 Raye Ann Blakeley 70, of Beech Grove, Kentucky went home to be with the Lord on Saturday, April 6, 2019 at her home in Beech Grove. Raye Ann Walker was born March 24, 1949 in Owensboro, Kentucky to the late Raymond and Zulema Wright Walker and was married to Jimmy Ray Blakeley October 20, 1967. Raye Ann was a homemaker, worked the family farm with her husband, was a member of Pleasant Hill Cumberland Presbyterian Church, where she played the piano for several years and attended Beech Grove Christian Church. She enjoyed gardening, cooking, playing the piano, and spending time with both family and friends. In addition to her parents, Raye Ann was preceded in death by her husband of 38 years, Jimmy R. Blakeley and by her son, James W. Blakeley. Survivors include a daughter, Sara Hicks (Jason) of Beech Grove; and two grandsons, Seth Blakeley and Aaron Hicks. Funeral services will be held at 11:00 A.M. Wednesday at Muster Funeral Homes, Calhoun Chapel with the Rev. Jim Midkiff officiating. Burial will be in the Bethel Baptist Cemetery in McLean County. Friends may visit with Raye Ann’s family from 4:00 P.M. until 8:00 P.M. Tuesday and from 9:00 A.M. until 11:00 A.M. Wednesday at Musters in Calhoun. The Raye Ann Blakeley family requests that expressions of sympathy take the form of donations to Bethel Baptist Cemetery Fund; C/O Judy Sandefur; 12574 Kentucky 56; Owensboro, Kentucky 42301. Memorial contribution envelopes will be available at Musters in Calhoun. Share your memories and photos of Raye Ann at musterfuneralhomes.com.